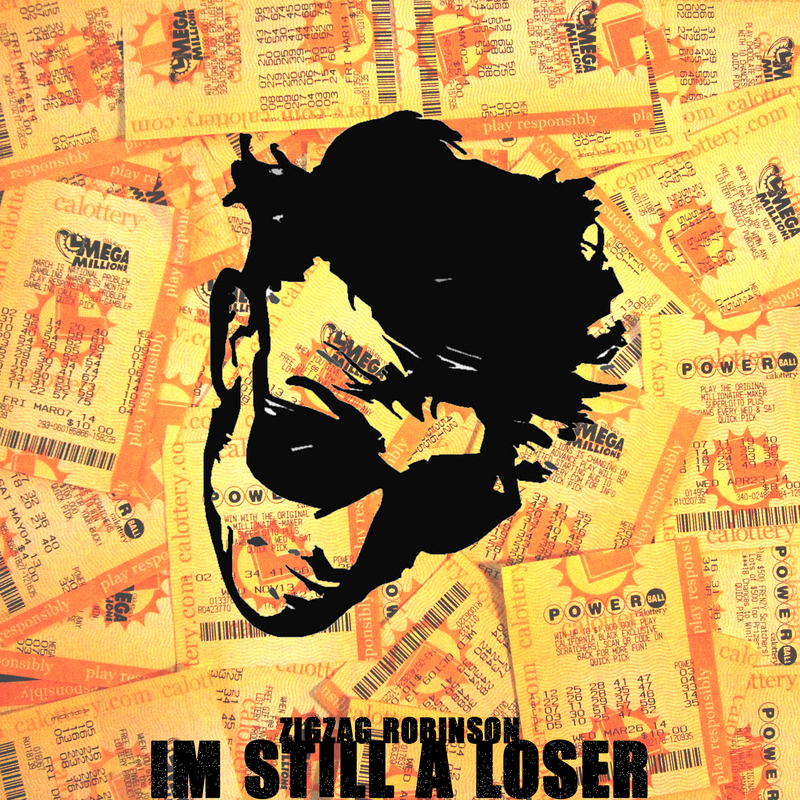 His Best Album.. That You Will Never Hear..
Zigzag Robinson’s new album, I’m Still A Loser was tracked June 2014 in his very own home at the famous Tannery Arts Complex in Santa Cruz, CA. Produced by none other than Majorknocks and Jamey Blaze, their latest blood-sweat-tears since The World Famous Pool Boyz have been poured into this five track miracle. This album, an album Zigzag never thought he would achieve, is an electronic-hipster’s dream. Only an album filled with Zigzag’s energy and Jamey Blaze’s funnel for annoyingly catchy construction could make hipsters in the art epicenter of Northern California turn their ubero-stylish heads. Still not released, and yet to be under Nathan Furtado’s widely received critique, Zig plans to pitch this as his first album with Empire Distribution. It may be finished already (including Universal’s top-notch mixing and mastering) but there are no signs of it being heard by the general public for six months, atleast. I know you may have thought you’d get to hear proof of Zigzag’s talent FINALLY being displayed in a way that you can cohesively enjoy, sorry. You’ll have to continue waiting. You already waited ten years. What’s another half a year?